After growing success at the festivals, the couples decided to grow their small business and purchase more of the Retzlaff's equipment, signs, and other items and to establish a new farm on Bob and Dawn's land located on Hwy 60. Bob and Dawn did some research and found out that the creek that runs through the farm is called Cedarburg Creek, and thought Cedarburg Creek Farm would be a quaint name for the estate. So the name Cedarburg Creek Farm stuck, and both couples with farming backgrounds of their own set out to share a taste of the farm life with other families just as others did before them. We take pride in our "barnyard," and all the animals are part of our family. Each year we think of new ideas to improve the farm. If you come out to the farm, don't be surprised if you find one or seven of Bob and Dawn's children helping out on the farm or behind the beautiful autumn scenery- even Shawn and Jessie's two sons, who aren't old enough to spell pumpkin can sure as much tell you how to harvest one or guide you through the "Swamper Stomper" obstacle course faster than you can say fall family fun! Cedarburg Creek Farm is a business run by family, and hopes to spread as much joy as they get from working out in nature with your family as well. This can be easily said, but not fully understood until one makes it to the farm to participate in the festivities. Free hayrides, corn-mazes, bouncers, live-music, cuddly animals, chainsaw carving, pick your own pumpkin, tasty fall treats, and much more can be found! 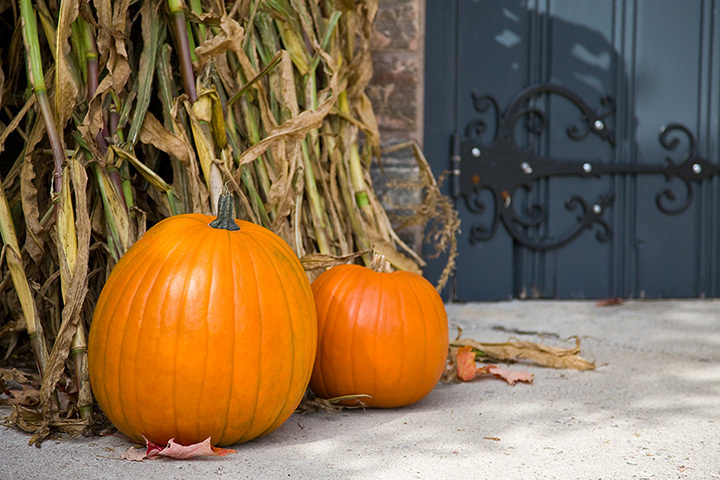 Now it's your turn to share in the fall fun.